This 4 DVD set features some of the toughest culinary challenges yet, the biggest and most respected guest star chefs including Anthony Bourdain, José Andrés and Rocco DiSpirito, and a buffet of never-aired bonus footage. Returning to the kitchen, cookbook author, actress and host Padma Lakshmi presides over the judge's table alongside head judge Tom Colicchio, renowned culinary figure and chef/owner, Craft Restaurants, judge Gail Simmons, of Food & Wine Magazine and judge Ted Allen, Emmy-winning cookbook author and TV personality. My daughters and I were huge fans of Top Chef when we had Directv a few years ago. Then we didn’t have anything but basic channels and missed a couple years of Top Chef. I was so excited to have the opportunity to review this DVD Series. First of all, I think watching competitive Reality TV is awesome on DVD. You can watch the shows back to back and there are NO commercials. I mean, that’s pure heaven! It doesn’t take weeks to get through the series, but it can be watched in a day! So, we start off getting to know the chef’s who are vying for Top Chef. I vaguely remember some of these competitors and think we caught parts of this season. After the first show I had my favorites. The Quick Fire competitions are so awesome! How they come up with their recipes in only 1/2 an hour is beyond me. The chefs have a category which is given to them and they have to achieve a successful meal and one person wins immunity for the Elimination Challenge. They have to base food based on beer, pastries, etc. The Elimination Round brings out the personalities amongst the competitors. Whether they’re working as a group, pair or individually, they show their true colors. I think my favorite Eimination Challenge was the one where they worked in groups to help throw a block party. They had to go into homes of people and take food from their kitchens! Antonia, Richard and Stephanie (above) were really easy to like. Their recipes were great and their personalities were friendly and agreeable. On the other hand, there were people who were easy to dislike such as Spike, Lisa, and Dale (below). They were sneaky or just generally hard to work with and negative during the challenges. We were pretty excited as the Top Chef Season 4 got towards the end. I have to admit I was surprised at one of the contestants left standing. I wonder if it will surprise you, too. I’m not going to comment at all about who the winner is so that way you don’t know if I’m glad or annoyed at who won. We’ll probably be on the same page at the end. Who knows! Time to win Season 4 of Top Chef! REQUIRED: Head to Bravo TV and figure out which Top Chef Judge you would be: http://www.bravotv.com/top-chef/games/top-chef-season-4-personality-quiz It’s a fun silly quiz that I thought might be more fun than the usual required entries. Giveaway open to US Residents 18 yrs and older. Please leave your email address or have it available in your profile. No email/contact = No entry. Giveaway ends 5/31, 10pm CDT. 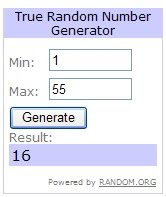 Winner has 48 hours to respond to the winning email. I’d like to thank Jelena on behalf of A&E Home Entertainment for sending my review copy. The opinions expressed in this review are mine and may not be the same experience as others. My quiz result says I'm Gail. The quiz told me I was Ted! The quiz must like Ted, because I'm like him too! I follow Marvelous Mom Reviews on GFC! You have such cool contests on your site. I am a followers, and twitter followers as well. keep up the great site, great work, cool contests. I was Padma --- Great entry method- liked it! I now follow Marvelous Mom Reviews! I entered the Grill Daddy giveaway.